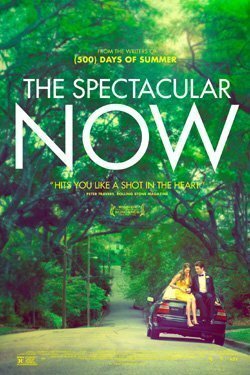 I had seen one or two of these movies before I stopped drinking, but as I discovered more about addiction and about myself I wanted to learn more about other people’s stories, connect with people, read, watch and listen to as much as I could to help me get a better understanding of the wide spectrum that is humanity and addiction. 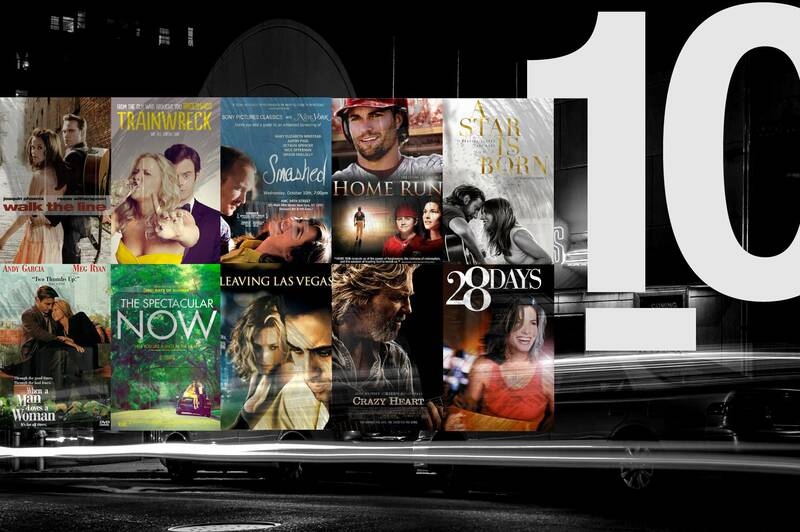 Although fictional, these movies are of course, inspired by real people, real stories and everything that goes with it. 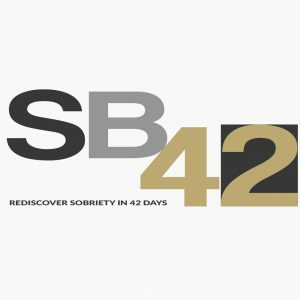 Being on the journey to sobriety, I watched these films with a deeper connection and understanding and for me they are definitely recommended viewing. 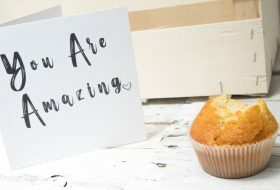 This is a favourite in the recovery community. Sandra Bullock’s character Gwen is a young professional who likes to party and likes her drink even more. She finds herself forced into rehab for a heavy drinking habit which leads her to do stupid, irresponsible things like ruin her sister’s wedding. Like many of us she is stubborn and unwilling to admit to alcoholism but when she can no longer hide from her truth, she begins to accept her addiction. 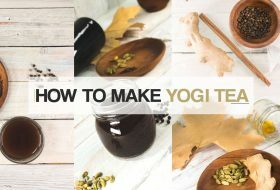 With a self-discovery driven by early sobriety and the residents she befriends, she begins to grow into a new woman learning to navigate sober life and maintain her relationship with her long-term boyfriend. While the movie may be a bit cheesy, there’s no doubt that the heart-warming feeling is real, and to many of us, relatable. Some have criticized this movie for being too trivial and light hearted but underneath the comedy and the wholesome persona of Sandra Bullock, is a very real representation of just how extreme life can get when addicted to a substance or behaviour. I like how the movie shows that it is not just about stopping drinking, but it’s a journey, you learn things about yourself, your past, your relationships that you would never uncover if you remain stuck in the same cycle. The film shows just how much you can grow and develop as a person once you leave your addiction behind. Because it is light hearted and funny, it has the power to reach and inspire a wide audience. This is another film depicting a woman’s journey of accepting her addiction and getting sober. 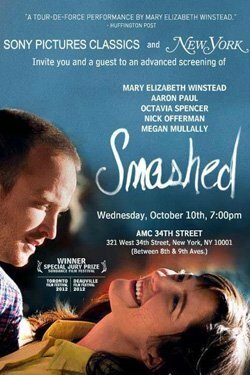 The main character Kate, (Mary Elizabeth Winstead) enjoys a carefree drink fuelled life of fun and music with her husband Charlie (Aaron Paul) but faces a series of ‘shameful’ events brought on by alcohol and drug abuse. Her choice to get sober is met with scepticism by both her husband and mother, but she finds support in other recovering alcoholics. Critics have called Smashed cliché, however, it’s cliché because it’s true, and those of us with a substance abuse problem will have empathy for the main character and in that, empathy for ourselves. There were parts of the film that I found difficult to watch, maybe because I could relate a little too well to the feeling of being out of control. When Kate gets sober, other areas of her life begin to unravel, her lies come to the surface and she begins to question her relationship with her husband. 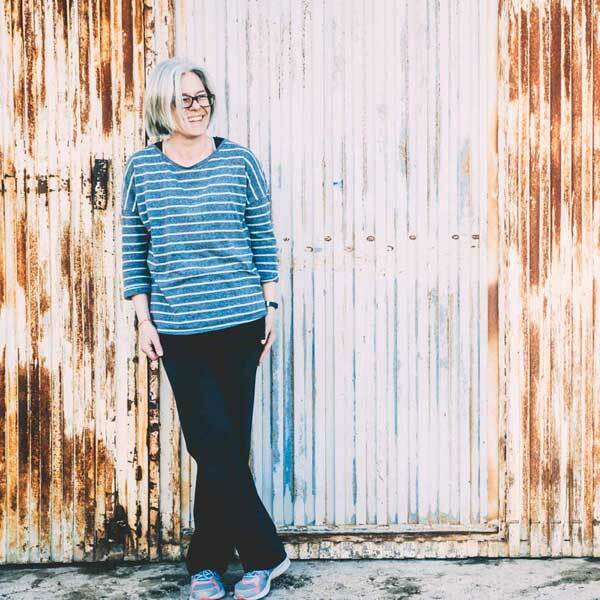 Being sober isn’t easy as Kate discovers but she is given the strength and clarity to face these issues head on and put her own health, wellbeing and happiness first. The film portrays the very real struggles that we face in that everything looks great on the outside but we’re suffering on the inside. It deals with complex issues that come up such as questioning relationships, relapse and learning about who we are again. Unlike some films, alcoholism and the road to sobriety aren’t glamorized or made to look easy. 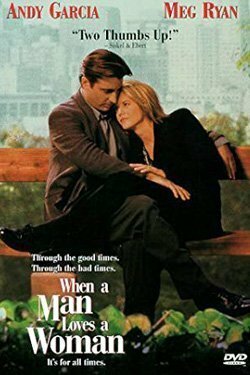 Alice (Meg Ryan) and Michael (Andy Garcia) seem to have the perfect life and love, a beautiful house, great careers and gorgeous children. But this idyllic lifestyle is shattered as Alice’s ever increasing dependency on alcohol and resulting erratic behaviour causes more and more problems at home, at work and with the children. After a particularly harrowing event Alice finally admits that she needs help and goes into rehab. As is the case, the real work begins when Alice comes home again and tries to adjust to her sobriety which she does with grace and strength. Her controlling, perfectionist husband, however has huge difficulty with his wife being so strong and independent as he was so used to the helpless, weak version. The film addresses the problems faced by many couples in this situation and sees Alice emerge again as loving and fun but with a sense of maturity and responsibility that come with facing your problems and working through them with help and support. It is an old film but still one of my favourites. The films shows really well, the drama and suffering that can go on underneath the surface of a seemingly perfect life. The toll it takes when trying to have it all and be everything to everyone. 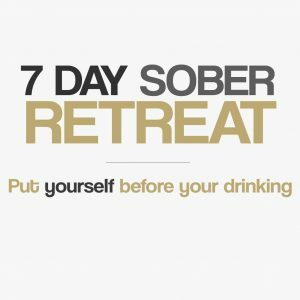 The shame and self doubt that we all face and the way alcohol is used to mask it all. I love it that Alice flourishes in sobriety, finds a sense of calm, strength and self respect. She is vulnerable, doesn’t know who she is supposed to be anymore and we see her working through it and trying to become the best version of herself she can be. 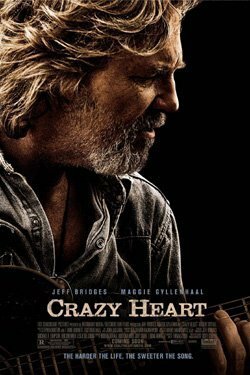 This film has had mixed reviews but for me, it beautifully paints an honest picture of the heartache caused by addiction. 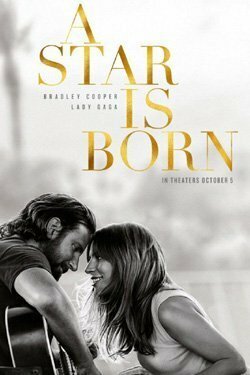 This remake, starring Lady Gaga as struggling artist Ally and Bradley Cooper as seasoned musician Jackson Maine, is about a country singer and his battle with alcoholism. Ally and Jackson fall in love and the film shows the heartbreak and the beauty of a complex relationship in such a high pressure industry which shines a light on Jackson’s personal demons and struggles with alcohol. Lady Gaga recently won a Golden Globe for her outstanding performance in this powerful movie, so bring the tissues with you. 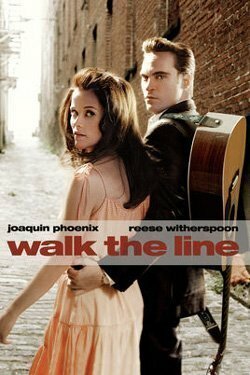 I love walk the Line. It is the story of the life and love of music legend Johnny Cash (Joaquin Phoenix)starting with his early life as a boy on the family farm, losing his brother to a tragic accident and suffering the scorn and loss of love of his father as a result. The film takes us on a journey through his life as a young man, discovering music and becoming a star. However, the main focus is on his love for June Carter (Reese Witherspoon) and his struggle with drug and alcohol addiction. The film portrays real events such as Johnny getting arrested, overdosing on stage, becoming angry, bitter and out of control. His passion for music and his love for June are strong, as is her love for him even though she finds it difficult to allow herself to get close because of his addiction. This love and passion is what sees him come through his painful addiction with the help of the love of June and her family, he does get strong and clean. Sutter (Miles Teller), a popular party animal unexpectedly meets the introverted Aimee (Shailene Woodley) after waking up on her lawn after a night of drinking. As Sutter deals with the problems in his life and Aimee plans for her future beyond school, an unexpected romance blossoms between them. This is more of a ‘teen movie’ about coming of age, love, responsibility, heartache and following your dreams but underneath it all is the struggle with alcohol, about using it to block out pain and become more confident and have fun. Eventually Sutter realizes that there can be more to life than messing about and swigging from a hip flask and decides that he needs to look beyond the now and grow up. This film is funny, light hearted and a little bit frustrating at the same time. It is nice to see someone who obviously has a lot of talent, charm and character finally get some confidence in himself instead of hiding behind the jokes and the bottle. With too many years of hazy days and boozy nights, former country-music legend Bad Blake (Jeff Bridges) finds himself in the all too familiar territory of playing bad gigs in dives and bowling alleys. In town for his latest gig, Blake meets Jean Craddock (Maggie Gyllenhaal), a sympathetic reporter who has come to do a story on him. He unexpectedly warms to her and a romance begins, then the singer finds himself at a crossroads that may threaten his last shot at happiness. He tries, he really does but all too often he is back to puking down the loo and passing out among empty bottles littered around him on the floor. Even a shocking event cannot shake him up enough to take the step his loved ones have been asking him to take, he has to do it on his own terms. This is a very believable story of a shabby, worn out old singer and how life, addiction and despair can bring who was once a great man, down. I like it that you want to believe that through the love of a good woman, (Jean)Blake, can make it, get better but the reality is that often we have to do these things on our own, find our own feet and walk our own path. Oh, and the gorgeous (and sober) Colin Farrell is in it too! Baseball all-star Cory Brand knows what it takes to win in the big leagues. But off the field, with memories of his drunk father haunting him, his life is spiralling out of control. He secretly drinks before games and becomes angry and abusive when things don’t go his way. Cory’s agent tries to save her client’s career and reputation after a DUI and a team suspension, and sends him back to the small town where he grew up. He is forced to coach the local youth baseball team and spend eight weeks in the only recovery program in town. Cory doesn’t take this seriously at all and carries on drinking, doing the minimum to appease his agent. 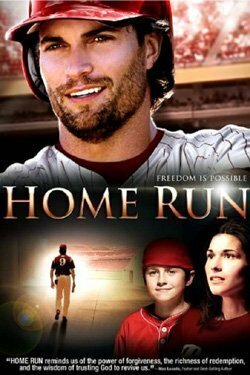 However his young players help him experience the joy of the game and slowly Cory discovers his need to find freedom from his past. Finally Cory admits he can’t stop drinking and begins to take his recovery seriously through faith based meetings and the love and support of his family and his team of little leaguers. The film is very tame in comparison to other addiction movies and we see Cory turning up looking great at practice despite drinking the entire contents of the motel mini bar which is just a tad unbelievable. However, this has a feel good element and the recovery program featured, ‘Celebrate Recovery’ is an actual program and the end of the film gives credit to the real people who this program has helped and is continuing to help. Adapted from the novel by John O’Brien, this acclaimed drama is a story of love, desperation and heartbreak as we follow alcoholic screenwriter Ben Sanderson (Nicolas Cage) as he drinks himself into oblivion in Las Vegas. When Ben meets the beautiful prostitute Sera (Elisabeth Shue), they strike up an unexpected connection — one where she can’t ask him to curb his drinking, and he can’t fault her for her job. Though they offer each other support, Ben’s self-destruction threatens to eclipse their bond. This is a love story against the backdrop of self destruction and pain. Ben is so far deep into his hell bent determination to kill himself with his drinking that even the love of Sera, cannot penetrate his anguish and torture. Nicolas Cage is awesome in this movie, he portrays his unpredictable and desperate character with skill and emotion, you almost feel sorry for him and feel so much for Sera who desperately wants to help but there is no hope left. Funny, touching, terrifying and extremely sad, this film unfortunately shows, in great detail, just how powerful and devastating addiction becomes for those not lucky enough to receive the help they desperately need. 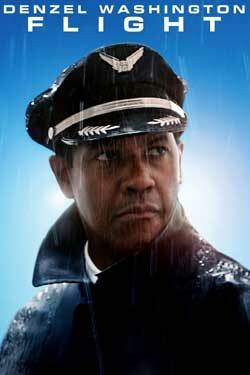 The extreme story of a functioning alcoholic in the form of an airline pilot played by Denzel Washington. Based on a terrifying real life event, the film covers the brave and extremely daring actions of the pilot to avert what would have been a fatal for all involved, in flight tragedy. As the investigation into the incident unfolds, so does the life and addiction problems of Captain Whip (Washington.) You always knew it would not end well as the start of the movie shows Whip recovering from a drunken night and subsequent hangover by imbibing more booze and a shot of cocaine before heading onto the fateful plane. As the story deepens so do his lies, drunkenness, disillusion and addiction. There are many uncomfortable and frustrating scenarios throughout the film which sadly represent the very real behaviours of people stuck in this vicious cycle. The ending and Whip’s journey to sobriety is preceded by a dramatic twist, which could go either way – stand up and face the truth or carry on with the lies. 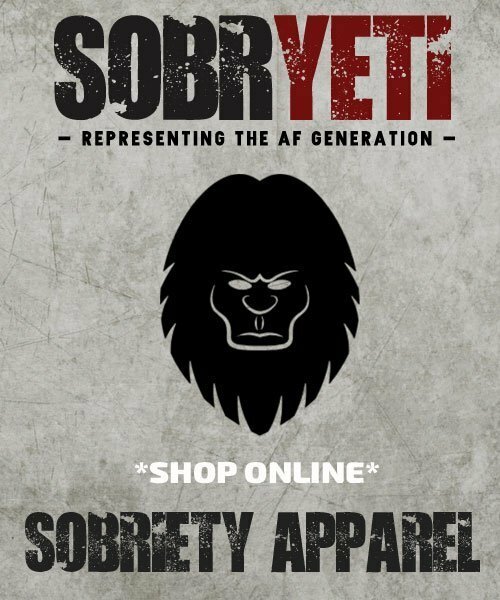 Watching movies, like reading books, following blogs and listening to podcasts are essential tools in the journey to sobriety. Movies about alcohol addiction tend to deal with the subject very well and show a good understanding of the problem. Many of us also find it easier to relate to events on the big screen. While the movies may be at times stereotypical, they are honest and do accurately show the upheaval and havoc that drinking to excess can have on the life of the drinker and those around them. 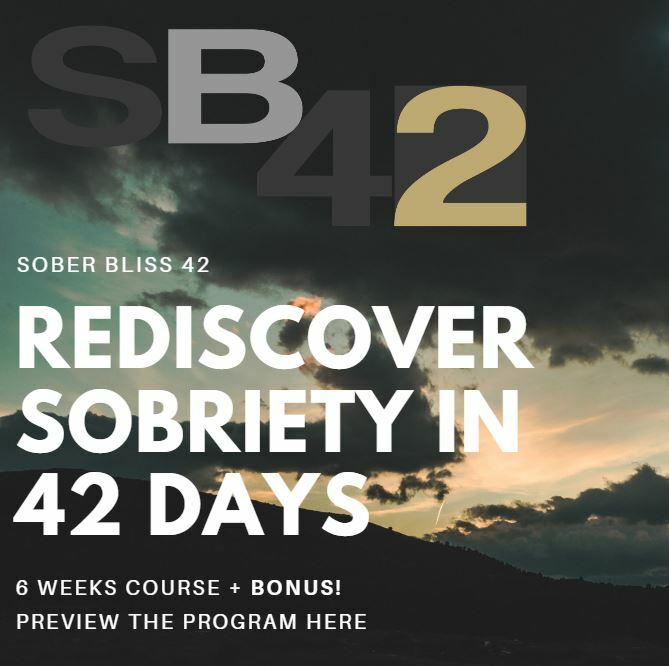 Keep up to date with the latest news and posts – Sign up to the Sober Bliss newsletter!